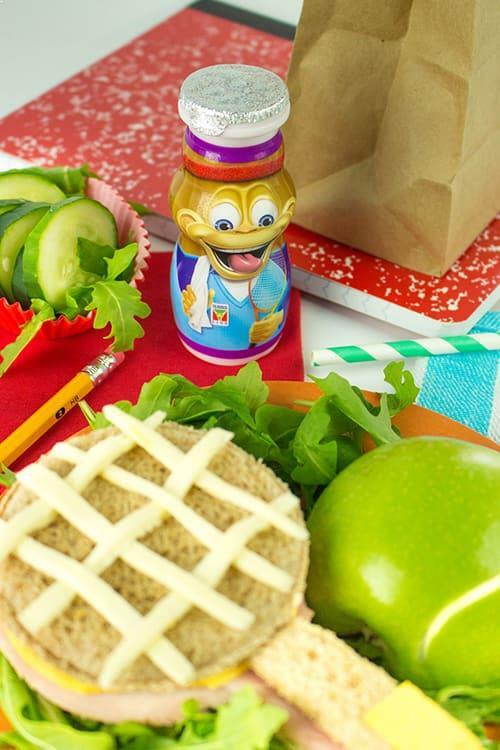 Serve up a healthy, tennis-themed lunch to the kids today. 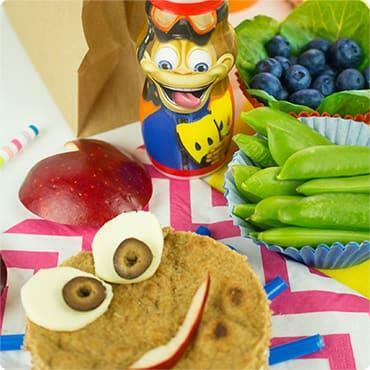 Cut a whole wheat bread tennis racket using a cookie cutter or knife and add ham and cheese. Use stripes of cheese as the racket strings. Make an apple into a tennis ball by simply cutting the shape details with a knife. Place the racket and ball on top of a “court” made of mixed greens. 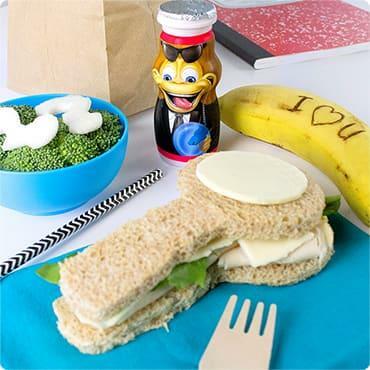 Complete the set with cucumber coins and a Danimals Smoothie. 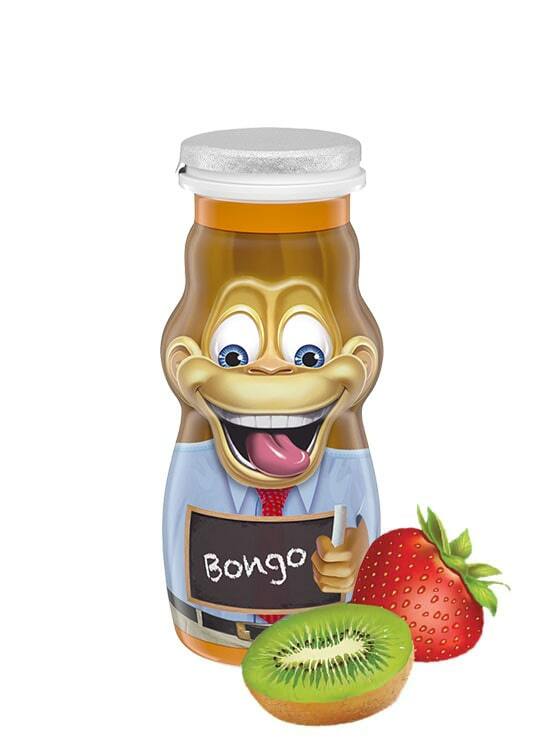 A burst of fruity flavors they love in a nutritious dairy drink. 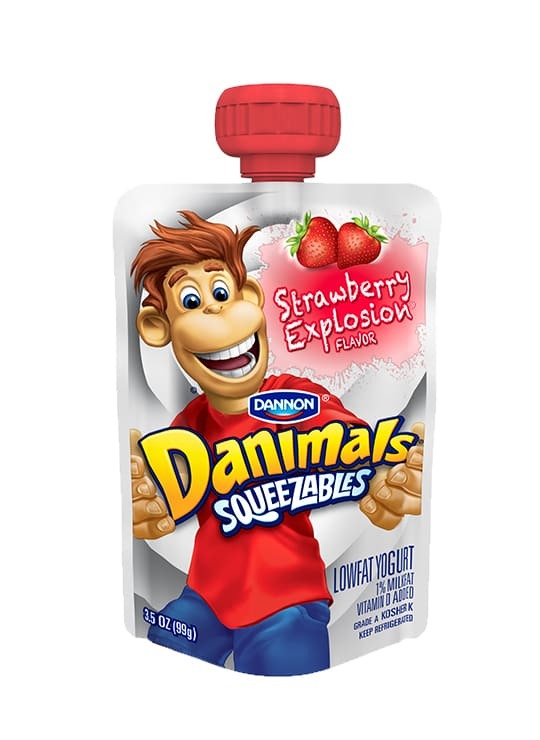 Portable, fun and full of delicious fruity flavor, Danimals Squeezables brings the creamy goodness of Danimals lowfat yogurt in a convenient pouch. 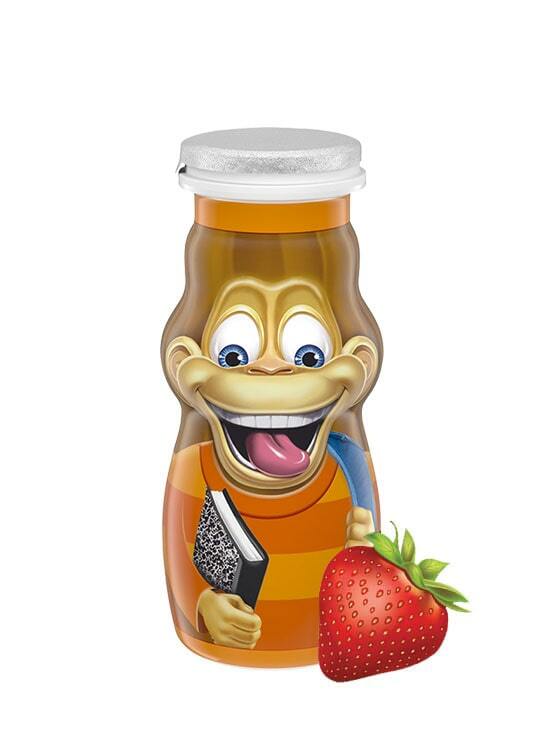 No spoon, no mess! 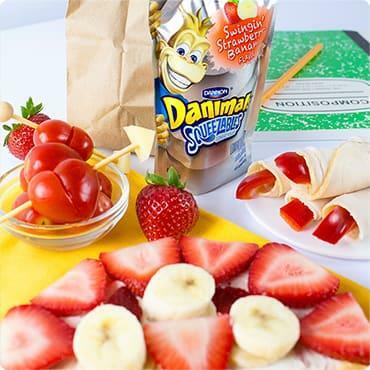 On-the-go goodness that’s perfect for dropping into a lunchbox or grabbing for a snack. 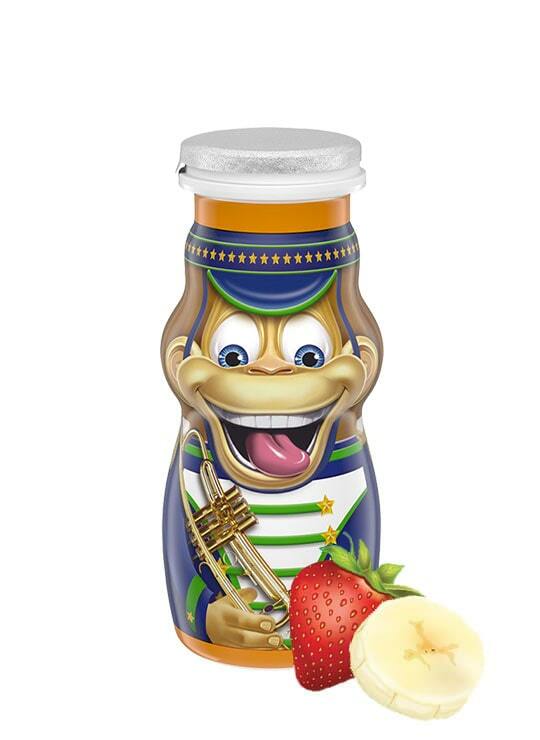 Kids will love the taste of creamy lowfat yogurt in their favorite fruity flavors. 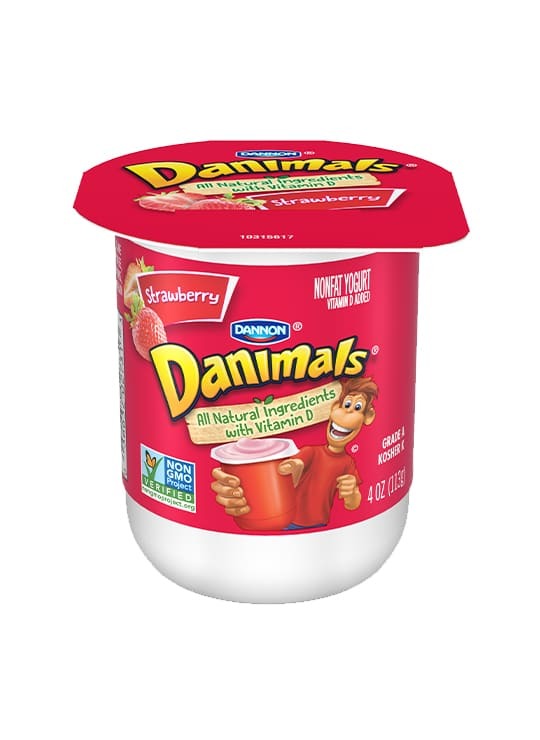 Creamy nonfat yogurt in kid-approved fruity flavors. 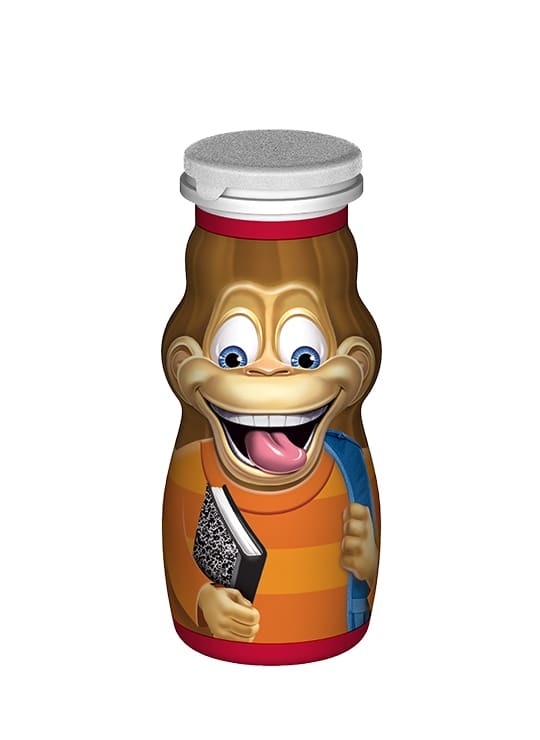 Available in select schools. 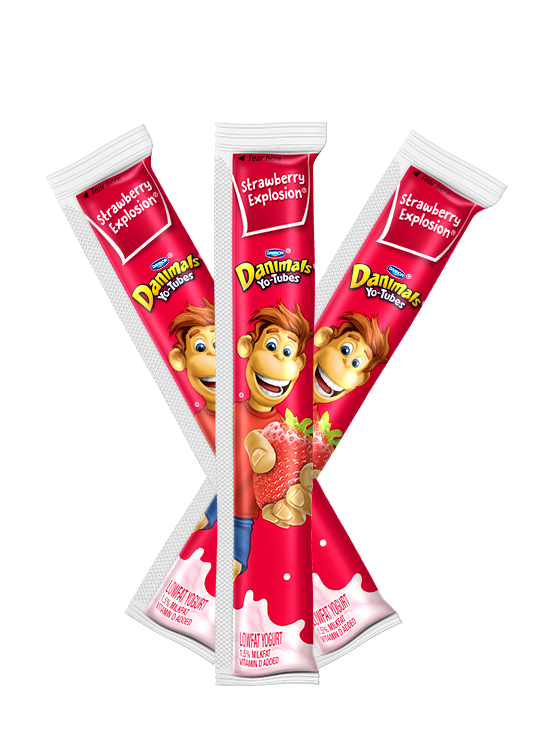 © 2019 The Dannon Company, Inc.
© 2017 The Dannon Company, Inc.